​We sell everything at the lowest allowed price. If you find it for less somewhere else, it is probably imitation. FREE Standard Shipping on all orders with expedited shipping available at checkout. People all over the World are dealing with health challenges like never before. The medical and scientific communities are in agreement that the answer to dealing with most, if not all of these challenges, lies within the body in a relatively recent discovery known as the Endocannabinoid System (ECS). We are 100% committed to helping people discover organic plant based products that fully activate and engage the ECS. Recently, we launched three new Ultra booster products that are hemp free and still engage the ECS. There is still nothing more cannabinoid rich than full spectrum hemp CBD oil. The hemp plant has been used for over 3500 years. With over 27,000 Studies proving the safety and efficacy, you're right on time to finding your health solutions. We have changed the game forever by making the oil water soluble to help everyone FEEL affordable results quickly. 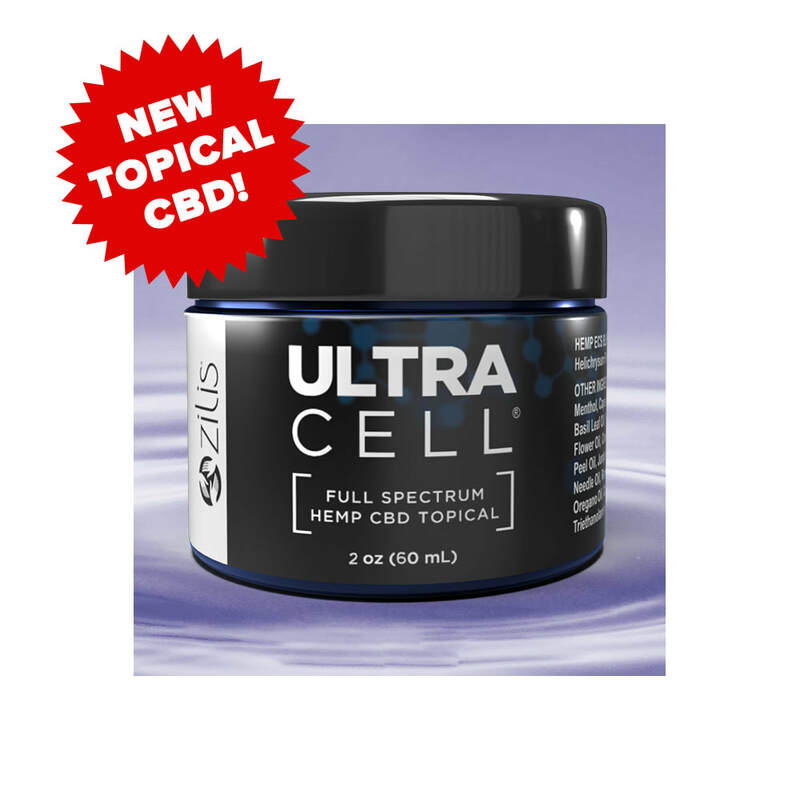 UltraCell Full Spectrum Hemp CBD Oil is unlike any other cannabinoid products. Proven 94% absorption on UltraCell, USDA Certified organic, Cannabinoid rich, full spectrum gifts from above. Learn how our products are unmatched by anything else out there and why they are so much more dynamic than anything else you can buy at any price, how you can get them and how you can capitalize on this revolution. You can even take our 7 Day Challenge to try it for yourself. 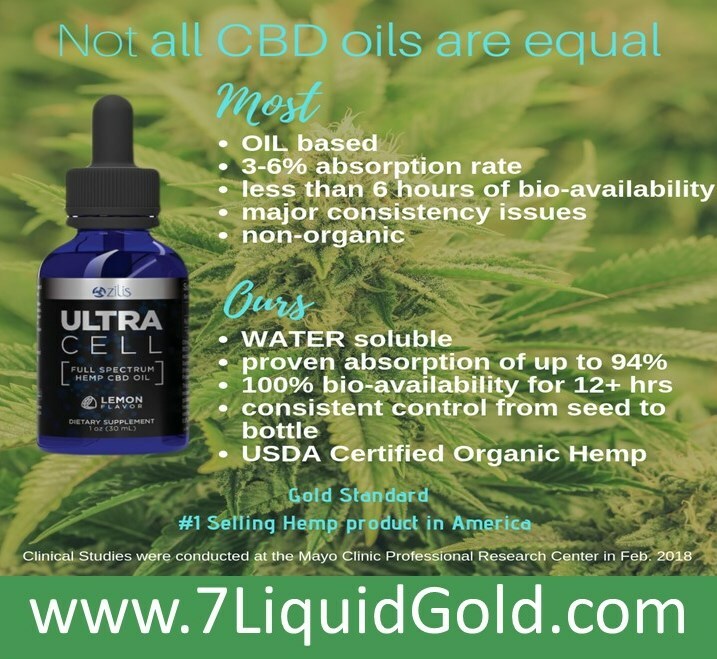 Hemp CBD Oil is available to anyone and is legal in all 50 States of the United States and is helping people coast to coast get astonishing health results that they can actually feel. All of our products are independently tested to assure less than 0.0% THC. With every purchase, we are impacting lives in so many ways. Each time someone purchases a bottle of either of our amazing Hemp CBD Oil for their own health, over 2 months of proven nutrition are Paid Forward to children and expectant mothers in countries around the World as well as right here in the United States. Talk about Health for Health! Click "Learn More" to see the impact people like you and Ambassadors here with Zilis are making around the Globe. Our Hemp CBD Oil products are NOT like any other products on the market. Other Cannabis products have virtually no data or information because they do not want you to know that their hemp is substandard, they have no research or technology to help with absorption, no concern whether their product has THC or even if it has what they say it has in the bottle. With 7, every detail has been assured to be clean, organic and proven to work! Discover the science and what makes our Hemp Products Superior to all others! If you are in the network marketing industry, you know the power of having a product that is revolutionary and has virtually immediate impact on someone's physiology. If you are not in the network marketing industry, let me share with you we can assist you in building an unlimited residual income simply by sharing products that are impacting lives like nothing ever has before! 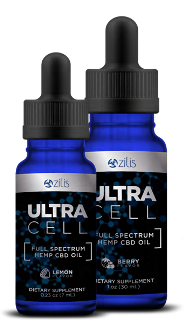 Watch Steven Thomson, Founder and CEO of Zilis, to learn about our amazing hemp products and why they are so effective. We will also how we are changing lives around the Globe and how you can capitalize with us on this emerging health market. Check out a video from our latest product launch in Spring of 2019.